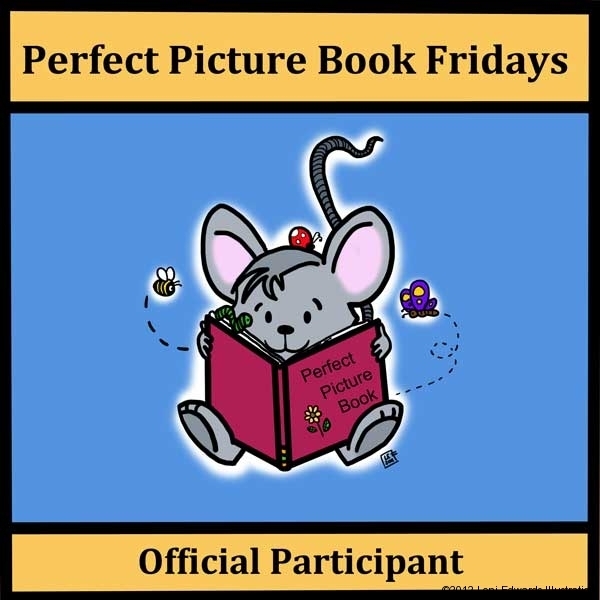 Perfect Picture Book Friday – Hi Cat! Synopsis: Archie goes to meet his friend Peter (Remember The Snowy Day? )so they can put on a street show for the neighborhood. On his way, he meets a stray cat. The cat ends up following Archie to the show. It proceeds to mess up all of Archie’s plans. But Archie doesn’t get mad. He accepts what happens and sees that the cat just really likes him. “Hi, cat,” he said as he walked by. Archie is walking down the street eating an ice cream cone. It’s a beautiful day, and he is on his way to meet his best friend Peter. Suddenly stopped by a newcomer to his neighborhood, Archie says, “Hi, cat!” The cat sits, looks him up and down, and purrs. It turns out to be the beginning of a beautiful friendship. Keats’s vibrant palette brings this humorous, fast-paced story to life. Adopt a kitty of your own! Petfinder.org or locate the nearest Humane Society in your area and visit or foster a pet! Why I like this book: I love Ezra Jack Keats of simple storytelling. He lets the reader “fill in the blanks”. I also enjoy his style of illustration. Every book of his that I have read I have loved. He knew how to interpret life in an urban environment and make it interesting and engaging for the reader, no matter what age. That sounds simple and cute, perfect for kids! Yes, Ezra has a way of making a simple story so much more. Thanks for your comment! I like the cover illustration too Erik 🙂 I will go check out your review tonight. Thanks for stopping by! This book sounds lovely. Great resources! love that you added the adoption website. The theater one looks really fun! I love Ezra Jack Keats, but haven’t read this book! I’ll definitely have to find it – sounds like a wonderful story! Great activities too – thanks so much for sharing! A cat, a play, what’s not to love? Thanks, Loni! I’m sure most kids would love your suggestion of getting a kitty of their own. 😉 Great choice! Haha! Yes, I am sure they would 🙂 Thanks for stopping by Julie! I love cat books, so I bet I will love this one. The opening lines are so appealing. You will love this book Penny! The Snowy Day is one of our favorites, but I’ve never heard of this follow up. Thanks so much for the introduction, Loni! I’m sure parents would love your suggestion of getting a kitty. Love Keats. Haven’t read this one, but will. Thanks for your comment Patricia! This is a good one! It is in our home library! Thanks for your comment Eric! 60 years ago, a little black cat followed me home during a summer visit to my grandmother…perhaps I should write a story about it…my grandmother ended up with 2 less singing canaries…oops! I haven’t read this one, but am putting it on my list. I love the title and the lines you shared. You will love it Stacy! Yup. He’s one of the best.